Roux V. (coll. M.A. Courty), 2016. Des Céramiques et des Hommes. Décoder les assemblages archéologiques. Presses Universitaires de Paris Ouest, Nanterre. Braun E. & Roux V. (eds), 2013. The Transition from Late Chalcolithic to Early Bronze in the southern Levant: Continuity and/or Discontinuity? Paléorient, vol. 39, n°1. Roux V. & Courty M.-A. (eds), 2013. Discontinuities and continuities: theories, methods and proxies for an historical and sociological approach to evolution of past societies. Journal of Archaeological Method and Theory, vol. 20, n°2. Rosen S. & Roux V. (eds) 2009. 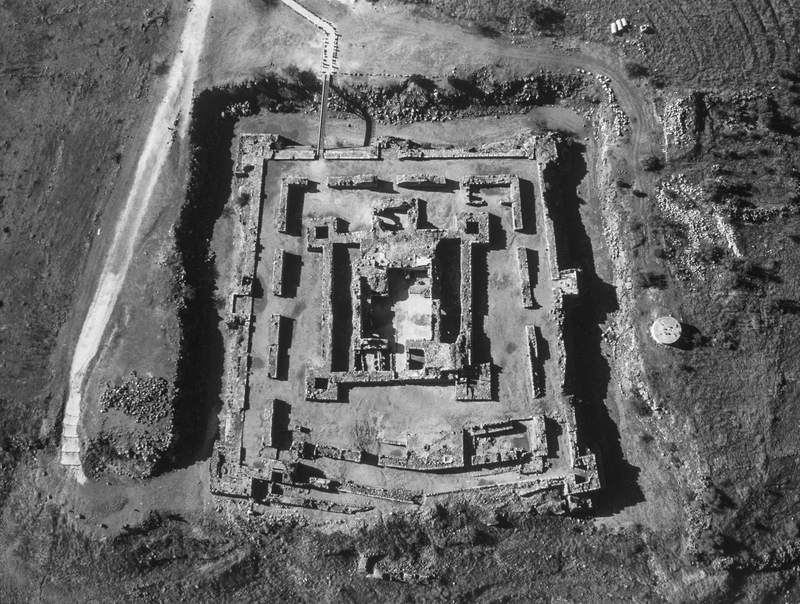 Techniques and people: anthropological perspectives on technology in the archaeology of the proto-historic and early historic periods in the Southern Levant. Editions de Boccard, Paris. Roux V., B. Bril, Karasik A. 2018. Weak ties and expertise: crossing technological boundaries. Journal of Archaeological Method and Theory. Roux, V. 2017. Not to throw the baby out with the bathwater. A response to Gosselain’s article. Archaeological Dialogues 24 (2) 225–229. Roux V., B. Bril, J. Cauliez, A.-L.Goujon, C. Lara, Cl. Manen, G. de Saulieu, E. Zangato 2017. Persisting Technological Boundaries: Social Interactions, Cognitive Correlations and Polarization. Journal of Anthropological Archaeology, 48, 320–335. Baldi J. and Roux V. 2016. The innovation of the potter’s wheel: a comparative perspective between Mesopotamia and the Southern Levant. Levant, vol. 48, n°3, p 236-253. Roux V. et Thalmann J.-P. 2016. Regards croisés sur l’évolution morpho-stylistique et technologique des assemblages céramiques de Tell Arqa (Liban, 3ème millénaire avant J.-C.) : changements culturels et stabilité sociologique. Paléorient (sous presse). Roux, V., 2015. Standardization of ceramic assemblages: transmission mechanisms and diffusion of morpho-functional traits across social boundaries. Journal of Anthropological Archaeology, vol.40, 1-9. Gandon, E., Roux, V., Coyle, T., 2014. Copying errors of potters from three cultures: Predictable directions for a so-called random phenomenon. Journal of Anthropological Archaeology 33, 99–107. Roux, V. van den Brink, E. and Shalev, S. 2013. Continuity and discontinuity in the Shephela between the Late Chalcolithic and the Early Bronze IA: Modi’in Ceramic assemblage as a case study. Paléorient, vol. 39, n°1, 63-81. Braun, E. and Roux, V. 2013. The Late Chalcolithic to Early Bronze Age I Transition in the Southern Levant: Determining Continuity and Discontinuity or “Mind the Gap”. Paléorient, vol. 39, n°1, 15-22. Roux V. 2013. Spreading of Innovative Technical Traits and Cumulative Technical Evolution: Continuity or Discontinuity? Journal of Archaeological Method and Theory, vol. 20, n°2, p. 312-330. Roux V. and Courty, M. A. 2013. Introduction to discontinuities and continuities: Theories, methods and proxies for an historical and sociological approach to evolution of past societies. Journal of Archaeological Method and Theory, vol. 20, n°2, p.187-193. Gandon E., Casanova R., Sainton P., Coyle T., Roux V., Bril B., Bootsmah R.J., 2011. A proxy of potters’ throwing skill : ceramic vessels considered in terms of mechanical stress. Journal of Archaeological Science, 38, p. 1080-1089. Roux V. 2010. Lecture anthropologique des assemblages céramiques : Fondements et mise en œuvre de l’analyse technologique. Les Nouvelles de l’Archéologie, n°119, p. 4-9. Roux V. et Miroschedji de P. 2009. 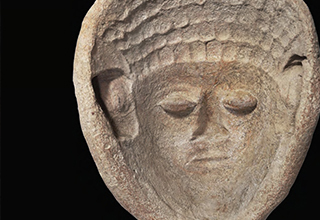 Revisiting the History of the Potter’s Wheel in the Southern Levant. Levant 41:2, p. 155-173. Roux, V. 2007. Ethnoarchaeology: a non historical science of reference necessary for interpreting the past. Journal of Archaeological Method and Theory, Vol. 14, No. 2, June 2007, 153-178. Roux, V. 2003. Intensity of production and ceramic standardization: quantifying degrees of specialization. American Antiquity, Vol 68, n°4. Roux, V. 2003. A dynamic systems approach to technological change: application to the emergence of the potter’s wheel in South Levant. Journal of Archaeological Method and Theory, vol.10, n°1, p.1-30. Roux V. and Karasik A., 2018. Standardized vessels and number of potters: looking for individual production. In J. Vukovic and I. Miloglav (eds. ), Artisans Rule: product Standardization and Craft Specialization in Prehistoric Society, Cambridge, Cambridge Scholars Publishing. (in press). Roux, V. 2016. Ceramic manufacture: the chaîne opératoire approach. In A. Hunt (ed. ), Oxford Handbook of Archaeological Ceramic Analysis, Oxford University Press. Oxford, p. 101-113. Roux, V. and Jeffra, C., 2016. The spreading of the potter’s wheel in the Ancient Mediterranean: a context dependent phenomenon. In W. Gauß, G. Klebinder-Gauß, C. von Rüden (eds. ), The Transmission of Technical Knowledge in the Production of Ancient Mediterranean Pottery. (Proceedings of the International Conference Held at the Austrian Archaeological Institute at Athens, 23rd–25th November 2012, ÖJh Sonderschriften). Österreichisches Archäologisches Institut, Vienna, 165-182. Roux, V. 2015. Cultural Transmission, Migration and Plain Wheel-Made Pottery in the MB II Southern Levant. In C. Glatz (ed), Plain and Simple. The Evolution and Significance of Plain Pottery Traditions in the Second Millennium BC Near East and East Mediterranean. Left Coast Press, USA, p.69-90. Roux, V. Mille, B., Pelegrin, P. 2014. Innovations céramiques, métallurgiques et lithiques au Chalcolithique : discontinuités techniques et sociales. In Transitions, ruptures et continuité en préhistoire. XXVIIe Congrès Préhistorique de France. Bordeaux-Les Eyzies-de-Tayac, 31 mai-5 juin 2010. Société Préhistorique Française, Paris, p.61-74. Roux, V. 2013. Ethnoarchaeology in France: Trends and Perspectives. In A. Marciniak and N. Yalman (eds), Contesting Ethnoarchaeologies – Traditions, Theories, Prospects. One World Archaeology 7, Springer, p. 17-34. Roux V. 2011. Habiletés et inventions : Le comportement « intelligent », un facteur aléatoire dans l’évolution des techniques. In R. Treuil (ed. ), L’archéologie cognitive. Paris, Editions de la Maison des sciences de l’homme, p. 173-188. Roux V., Courty M.-A., Dollfus G., Lovell J. 2011. 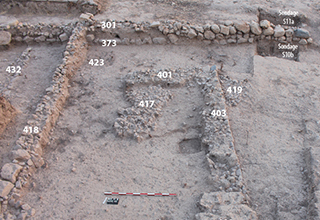 A techno-petrographic approach for defining cultural phases and communities: explaining the variability of Abu Hamid (Jordan Valley) early 5th millennium cal. BC ceramic assemblage. In Y. Rowan and J. Lovell (eds. ), Culture, Chronology and the Chalcolithic : Theory and Transition. CBRL Levant Supplementary monograph series, Oxbow, Oxford, p. 113-132. Roux, V., Panitz-Cohen, N. and M.A.S. Martin 2011. 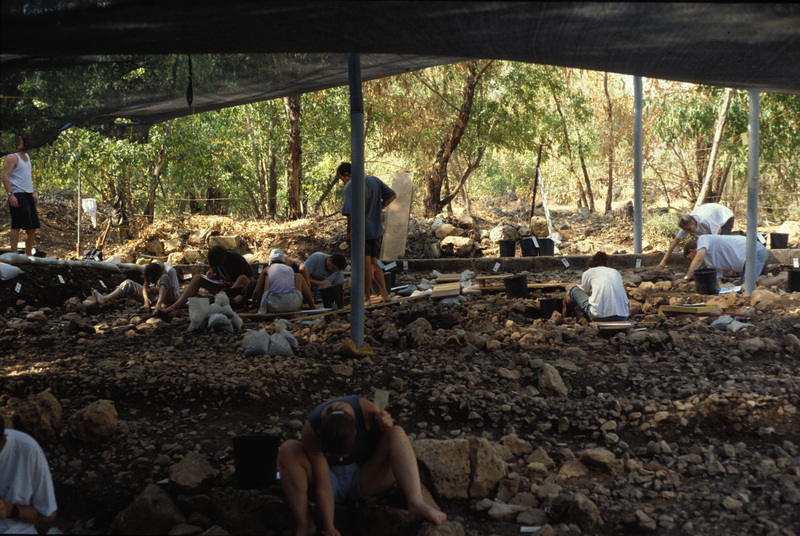 Two potting communities at Beth-Shean? A technological approach to the Egyptian and Canaanite forms in the Ramesside period. In M.A.S. Martin, Egyptian-Type pottery in the Late Bronze Age Southern Levant. Wien, Österreichische Akademic der Wissenschaften, p. 113-117. Roux V. 2010. Technological innovations and developmental trajectories: social factors as evolutionary forces. In M.J. O’Brien and S.J. Shennan (eds. ), Innovation in Cultural Systems. Contributions from Evolutionary Anthropology. Cambridge, Massachusetts, London, England, The MIT Press, p. 217-234. Roux V. 2009. Wheel fashioned ceramic production during the Third millennium BCE in the Southern Levant: a perspective from Tel Yarmuth. In S. Rosen and V. Roux (eds. 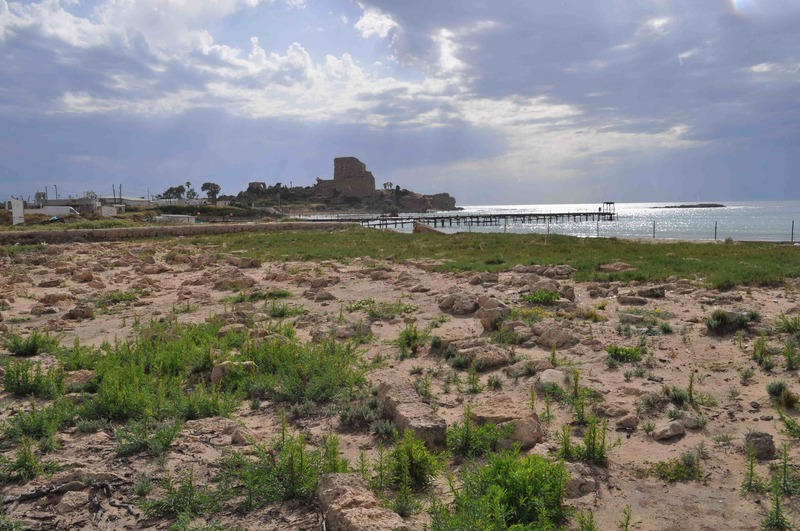 ), Techniques and people: anthropological perspectives on technology in the archaeology of the proto-historic and early historic periods in the Southern Levant. Paris : De Boccard, p. 195-212. Roux V. and Rosen, S. 2009. An introduction to technological studies in the archaeology of the proto-historic and early historic periods in the southern Levant. In S. Rosen and V. Roux Techniques and people: anthropological perspectives on technology in the archaeology of the proto-historic and early historic periods in the Southern Levant. Paris: De Boccard, pp. 11-22. Roux, V. 2008. Evolutionary Trajectories of Technological Traits and Cultural Transmission: A Qualitative Approach to the Emergence and Disappearance of the Ceramic Wheel-fashioning Technique in the Southern Levant during the Fifth to Third Millennia BC. In M. Stark, B. Bowser, L. Horne eds., Cultural Transmission and Material Culture. Breaking Down Boundaries, Arizona University Press, 82-104. Roux, V. 2007 Non emprunt du façonnage au tour dans le Levant Sud entre le Ve et le IIIe mill. Av. J.-C. : des régularités pour des scénarios historiques particuliers. In P. Rouillard (dir. ), en coll. Avec C. Perlès et E. Grimaud, Mobilités, immobilisme. L’emprunt et son refus. Paris, ed. De Boccard, p.201-213. Roux, V. et Courty, M.A. 2007. Analyse techno-pétrographique céramique et interprétation fonctionnelle des sites : un exemple d’application dans le Levant Sud chalcolithique. In Allison Bain, Jacques Chabot & Marcel Mousette eds. Recherches en archéométrie : la mesure du passé. Oxford, British Archaeological Reports International Series 1700, p.153-167. Roux, V. et Courty, M.A. 2005. Identifying social entities at a macro-regional level: Chalcolithic ceramics of South Levant as a case study. In Pottery Manufacturing Processes: Reconstruction and Interpretation edited by D. Bosquet, A. Livingstone-Smith and R. Martineau. Actes du XIVème Congrès de l’UISPP. Oxford : B.A.R., p.201-214.